Trained as a family practitioner to address acute and chronic conditions, Dr. McNaughton focuses on clinical genetics, autoimmune disease, allergies, and digestive issues. Primary care services include annual gynecological exams, STD and other blood testing, cholesterol and blood pressure management, smoking cessation, stress management, referral for preventative screening such as mammograms and bone scans and referral to other providers as appropriate. She facilitates healing as a knowledgeable guide and partner, helping her patients make lasting changes and achieve health goals. Her patients are motivated and are active participants in their healing process. Dr. McNaughton holds your comprehensive medical record and helps you to coordinate care with other practitioners. Her treatment approach is to remove obstacles to cure and improve the functioning of the body so that disease cycles are stopped or slowed. Treatments can also minimize the side effects of medications and improve their effectiveness. History, labs, and diagnosis are the same as conventional doctors. Therapeutics are natural medicine and some prescriptions as necessary. Dr. McNaughton’s patients feel heard and thoroughly cared for. They feel safe, accepted, and respected, whether they share aspects of alternative lifestyles or “slip-ups” from the treatment plan. Her patients appreciate finding ways to practically achieve recommendations rather than only following protocols. Instead of simply telling patients what to do, she works with them to plan how they can institute change. Dr. McNaughton completed her pre-medical education at Hahnemann University in Philadelphia. While there, she ran a natural health interest group, arranging for a variety of professionals to speak as well as giving several talks. She graduated from Bastyr University’s Naturopathic Medicine program in 2003. Dr. McNaughton is an experienced writer and speaker, giving talks at libraries, schools, community centers, support groups, and natural foods markets. She published a front page article on acid/alkaline balance in the PCC Sound Consumer. She spoke on natural medicine quick fixes at IgniteSeattle, a fast-paced event where speakers are given five minutes and auto-advancing slides. 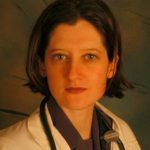 She has been a member of the American Association of Naturopathic Physicians since 1998, and spoke at their 2005 convention. She has twice appeared on SCAN TV’s Being in Seattle with Rosemary Broccoli, and on KYPT Radio’s Northwest Point of View with Anita Mofitt. In 2009, Dr. McNaughton completed a three-week academic and practical intensive in traditional and institutional medicine with Spanish immersion in Cuernavaca, Mexico. She has facilitated a Spanish conversational group since 2005. Her personal interests include yoga, hiking, and travel.